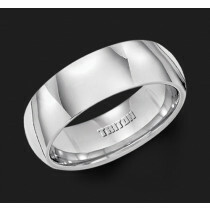 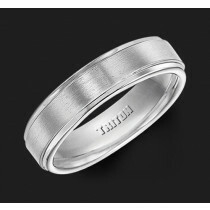 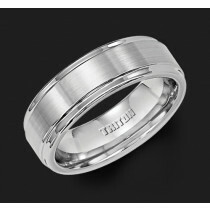 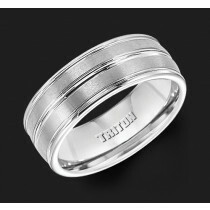 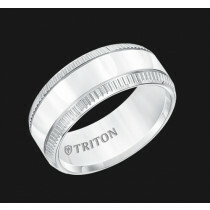 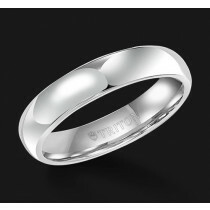 Looking for a stunning men’s wedding band in a color that is visibly comparable to platinum or white gold, but at a more attractive price point? 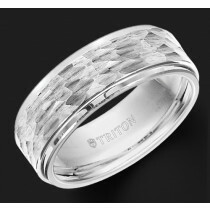 At Ethan Lord Jewelers, we offer a large selection of ready-made men’s Triton white tungsten wedding rings in eye-catching styles. 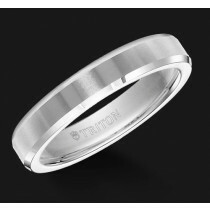 Browse our online catalog to explore rings with brushed centers and high polished beveled edges, or with a brick-shaped exterior, for example. 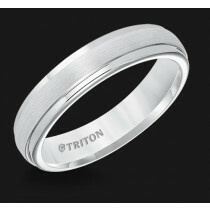 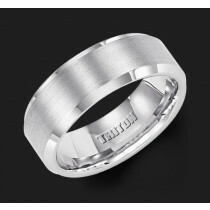 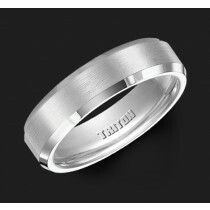 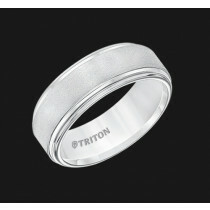 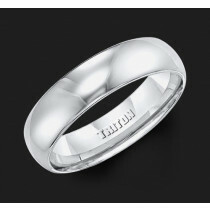 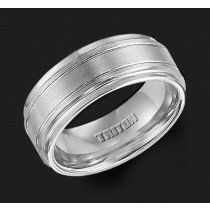 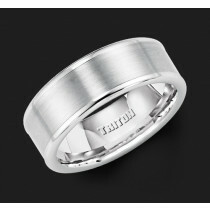 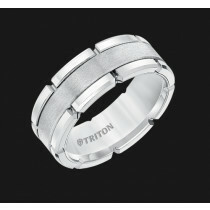 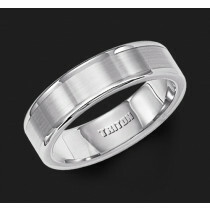 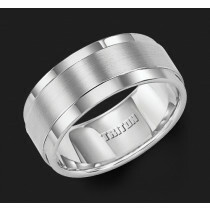 Unfortunately, we cannot customize any of our premade tungsten ring designs due to specific manufacturing requirements when working with tungsten. 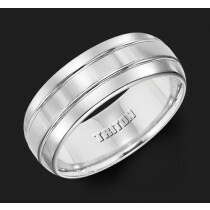 But if you are inspired by a men’s white tungsten wedding ring design, we can help customize the style in the precious metal of your choice.